Turning point of World War II. 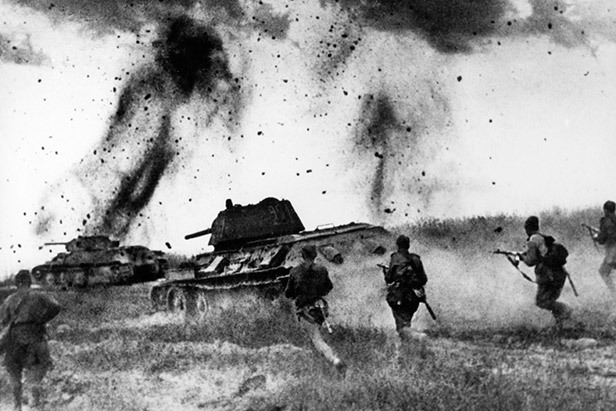 70 years ago, the Battle of Kursk came to an end after 50 days and nights of bloody combat. Seventy years ago, on August 23, Soviet soldiers managed to wreak havoc on the German forces’ morale by finally defeating them in the Battle of the Kursk. The Battle of Kursk was one of the greatest armored battles - and probably air battles - in history that led to the largest loss in a single day. The famous tank crew at Prokhorovka was part of the Battle of Kursk. The German forces were unable to break through the Soviet lines, and eventually brought the Soviet forces counterattacked.The Battle of Kursk was the last major German offensive on the Eastern Front. After Kursk the initiative shifted to the Red Army. As for the losses, the Soviet side lost approximately 500 vehicles while the Nazis lost about 200.